Newspaper front pages show President Trump and North Korean leader Kim Jong Un during their meeting in Singapore on June 12, 2018. 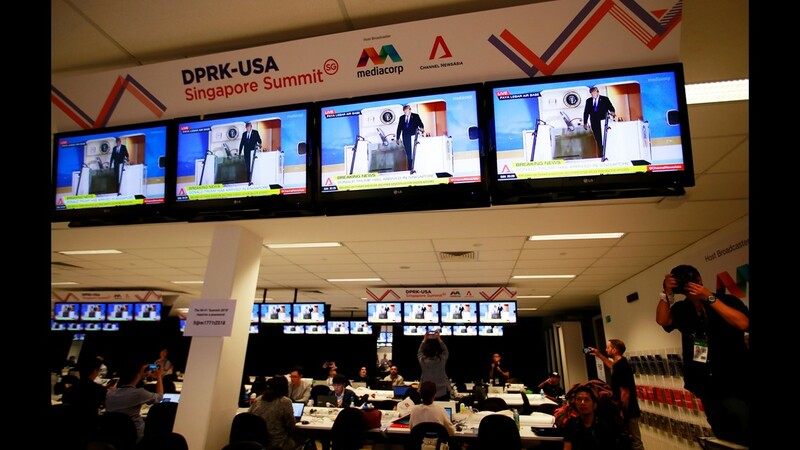 SINGAPORE — North Korea’s official media described the unprecedented summit in Singapore between President Donald Trump and Kim Jong Un as a "historic" success for the North Korean leader, underscoring the meeting's propaganda value for a regime long isolated from the international community. 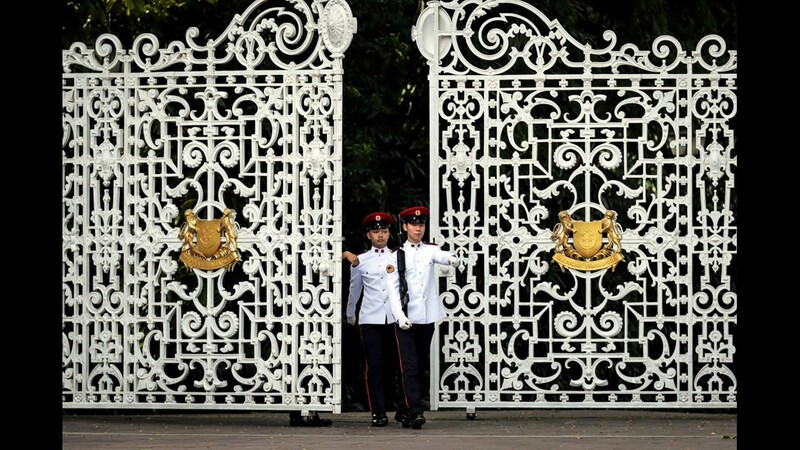 The North’s state-run Korean Central News Agency (KCNA) called Tuesday's summit an "epoch-making meeting much awaited by the whole world." 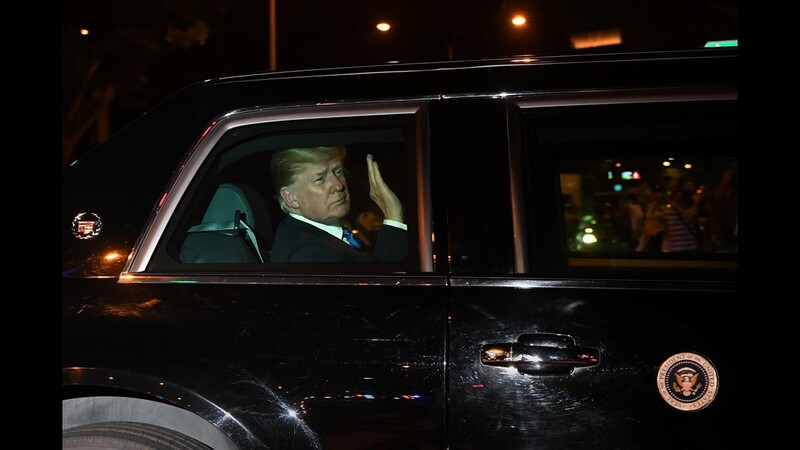 KCNA highlighted the concessions it said Trump made to Kim, including the claim that the president agreed to lift sanctions on Pyongyang as relations between the countries improved. Trump said the sanctions "will come off when we are sure that the nukes are no longer a factor," referring to Washington's insistence that North Korea abandon its nuclear weapons program. Trump said he would like to lift economic sanctions in return for Pyongyang denuclearizing, but said that there were no immediate plans to do so. The joint declaration signed by both leaders at the summit was also light on specific details of any policy changes. The KCNA report released Wednesday noted that Trump "expressed his intention to halt the U.S.-South Korea joint military exercises, which Pyongyang regards as provocation," and would "offer security guarantees to the DPRK," referring to North Korea by its official name, the Democratic People’s Republic of Korea, or DPRK. But the military drills were not mentioned in the joint declaration. Trump announced that the U.S. would be ending the exercises during his press conference. "We will be stopping the war games, which will save us a tremendous amount of money, unless and until we see the future negotiation is not going along like it should," he said. The announcement caught many by surprise, including the leadership of the U.S. military stationed in South Korea. A military spokeswoman in Seoul, Lt. Col. Jennifer Lovett, said in a statement that U.S. Forces Korea command "has received no updated guidance on execution or cessation of training exercises." About 30,000 U.S. soldiers, sailors, Marines and Air Force members are stationed in South Korea where they regularly participate in live-fire drills. The KCNA report also gave a detailed account of events from the summit, going into a level of detail that is rare for North Korean media. North Korea is one of the most isolated countries on Earth and its approximately 24 million people have limited contact with the outside world. 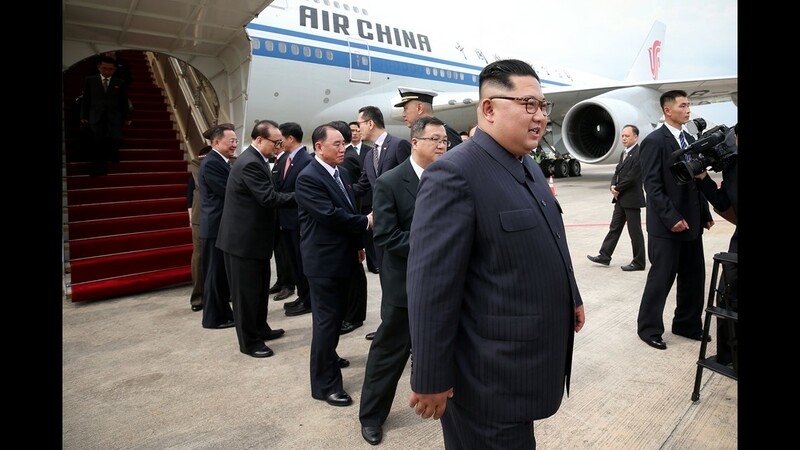 North Korea's media coverage of Kim’s trip was also far more comprehensive than usual, with a large number of reporters and photographers accompanying the North Korean delegation. 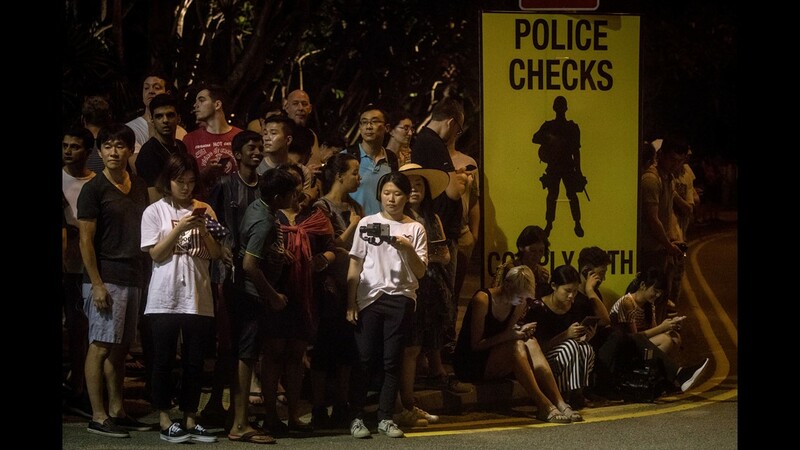 On Tuesday morning, the front pages of North Korean newspapers were plastered with smiling images of Kim on a Monday evening Singapore tour. The official Rondong Simnun newspaper described Kim "enjoying a nocturnal bird's-eye view of the city." 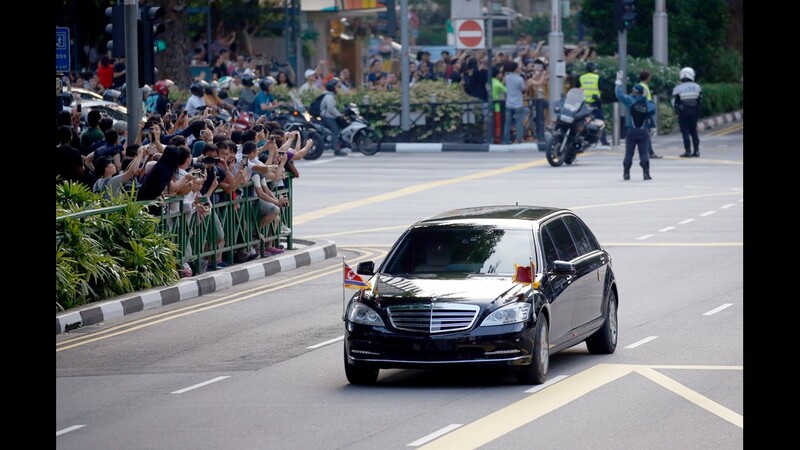 It quoted Kim as saying that "Singapore is clean and beautiful and every building is stylish as he heard of in the past, adding he is going to learn a lot from the good knowledge and experience of Singapore in various fields in the future." 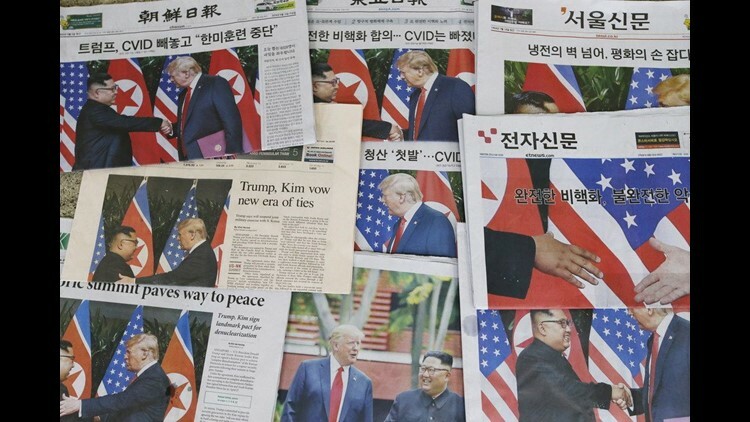 On Wednesday, Rondong Simnun ran front page photos of Trump and Kim with the headline: "A meeting of the century that opened a new era in history of North Korea-U.S. relations." The relatively quick news turnaround for North Korea was in contrast to Kim’s previous out-of-country visits. 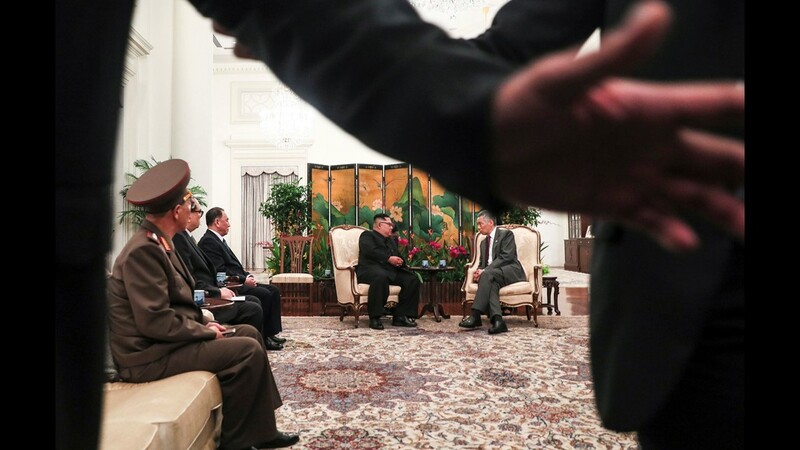 A visit to China in March to meet Chinese President Xi Jinping was not announced until the day after it had ended, while coverage of the inter-Korean summit between Kim and South Korean President Moon Jae-in was also delayed by a day. Trump also seemed extremely confident that the summit would have a lasting outcome. After arriving back in Washington on Wednesday he tweeted: "(A) long trip, but everybody can now feel much safer than the day I took office. There is no longer a Nuclear Threat from North Korea." He followed that up by saying that "Before taking office people were assuming that we were going to War with North Korea. President Obama said that North Korea was our biggest and most dangerous problem. No longer."